Your growing child needs proper rest and that’s when a good mattress comes into play. Figuring out a right mattress that doesn’t compromise on your child’s growth is important, and if you know how heavy-eyed a child feels in lack of good sleep, you will not ask why. We have picked some best kids mattresses available in the market and tested them on a number of parameters, including mattress’ material, response foam, moisture levels, allergen-free and more, while keeping a single eye focus on a principal factor - bedding comfort. It is crucial for them to sleep on the mattress that will provide them with proper spine support while their bones are growing. We all know how stiff and achy you can be in the morning after only one night on the uncomfortable mattress and if we want our children to develop properly, we can't allow this to happen to them during the development. 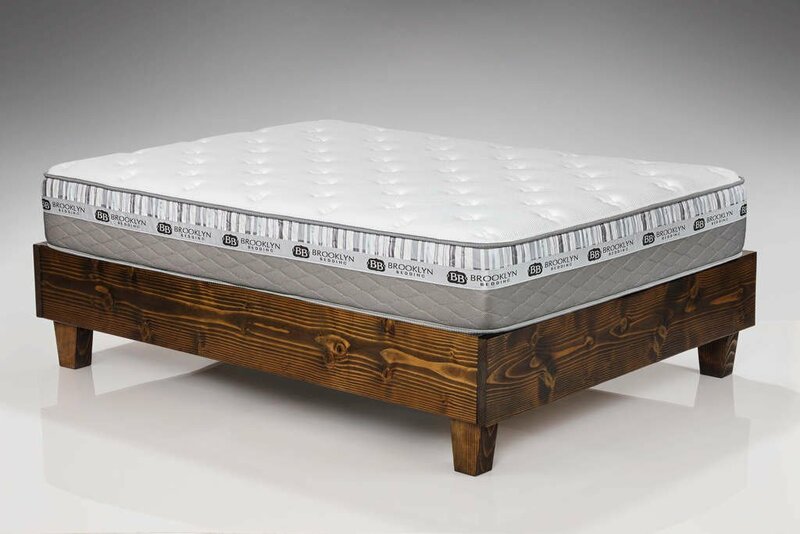 The best mattress would be one with the innerspring support system because it gives them a proper spine support and comfortable night’s sleep. There are many different mattresses for toddlers on the market today making it even more difficult to choose the right one. This is one of the reasons we made this text and reviewed some of the best kids mattresses out there. To make your life easier we picked the seven best child mattresses on the market, all of which provide your kid with a room for growth, give ideal comfort and excellent support. Leesa Mattress is one of the newest mattresses on the market and it is one of the best twin mattress for toddlers. The mattress is made of three layers of foams and the cover. The top foam layer is made of 2 inches of Avena foam. This is a newly developed foam that will act like latex, meaning it’s cool, comfortable and bouncy, but with better durability than latex. This layer is here to provide your kid with a comfort and cooling. The middle layer or the support layer is also 2 inches thick and it’s made of memory foam. This layer gives support and pressure relief. The bottom foam layer is a foundational layer and it’s 6 inches thick. This layer makes the base of the mattress and it is as breathable as the top two layers so you don’t have to worry if it will absorb the heat. This is a hybrid mattress and it’s designed that way that it collects all the benefits of the materials used and eliminates the negative attributes. This way of layering the different foams makes the mattress breathable, supportive and comfortable with a cool layer on the top. The cover is a single piece of the fabric that covers the entire mattress. It looks quite good on the mattress with its 4 bar design. It’s made of the poly-lycra blend and it’s quite thick. The cover is very durable and stretchy and it allows the air to flow through the mattress. When it comes to firmness, this mattress is pretty neutral. On the scale from one to ten (ten being the firmest), I would say it’s about six. In terms of support and comfort, it is pretty hard to beat this mattress. It feels amazing and it’s also a very thick mattress. Well, thickness doesn’t have to mean more support, but in this case, it does. While the mattress does show some sinkage, as you would expect from the medium firm mattress, it doesn’t lose the structure or collapse. This is very important for those who like to sleep near the edge. Overall, this is one impressive toddler mattress and it’s suitable for all sleeping positions. This gel memory foam mattress is the latest creation of the ELuxurySupply. Although it is not very stylish, it does offer a great support and comfort. This kids mattress is 10 inches thick and it’s made of two layers of foams. The top layer, designed for comfort, support, and cooling is made of 3 inches thick gel infused memory foam. This layer is here to provide you with the comfort, support, and a pressure relief but also to keep you cool during the night. The bottom layer is 7 inches thick and made of high-density. This layer gives the mattress a foundation as well as the deep compression support. The cover of the mattress is quite simple. It’s white on the top and gray on the sides. The top part is made of 80 percent polyester and 20 percent spandex and it feels really soft. The fabric is very thin allowing the airflow and cooling of the mattress. It also allows more direct contact with the foam layer. The gray fabric on the sides is 100 percent polyester giving more durability to the mattress. It’s much stiffer than the top panel which is great for the protection of the mattress. 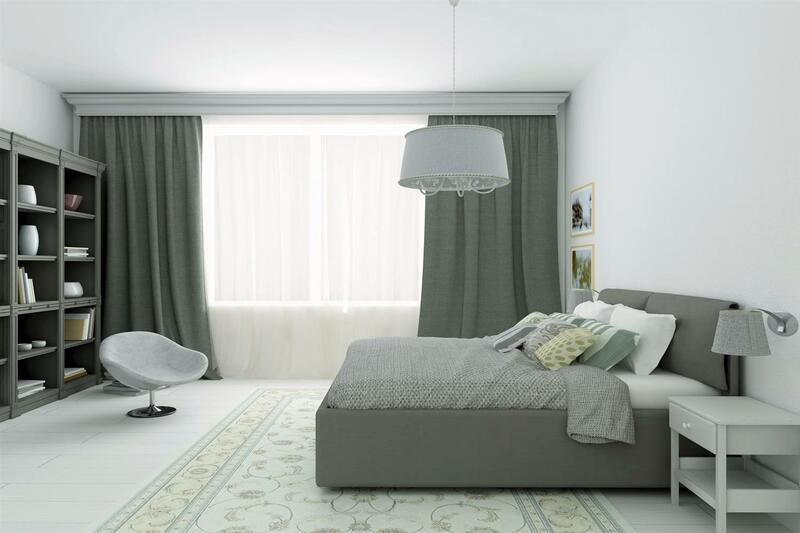 When it comes to aesthetics, this simplistic approach is most certainly not so much groundbreaking, but we do believe that this decision was made in order to keep the lower price of the mattress. Most of the mattresses that are this thick are medium firm. This one is somewhere in between the medium firm and firm. About 6.5 on the scale from one to ten. So, if you are looking for the mattress that is a bit firmer but you don’t want to feel like you are sleeping on the floor, this is a perfect choice of mattress for kids. The mattress doesn’t sink in too much which is great because it allows a better airflow and cooling. When it comes to bounce, it’s average. It is much better that it would be with the traditional memory foam, but don’t expect the bounce you can get with the innerspring mattress. Turf & Needle is one of the few leading companies in the mattress business and this is one of their best mattress for children. It’s built from 2 foam layers that give a total thickness of 10 inches. The top 3-inch layer is made of polyfoam and it’s designed to give you most of the support and comfort, as well as the cooling for the mattress. The bottom layer is the foundation of the mattress and it’s made of 7 inches thick base support foam. This layer gives the shape and the foundational support to the mattress. The cover on this mattress is 100 percent white, it’s very simply designed, and it’s extremely thin. 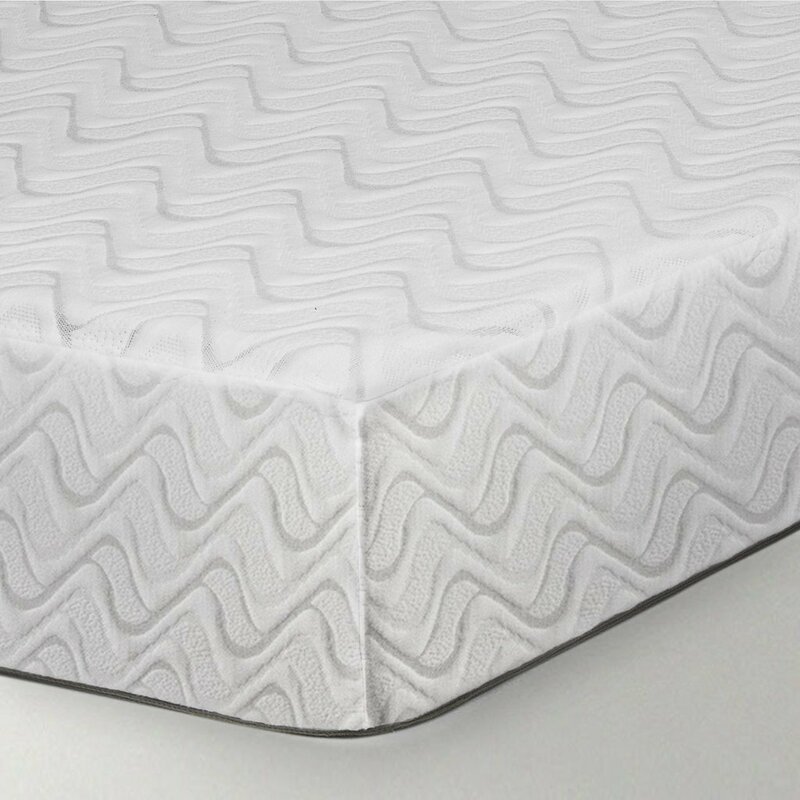 The cover is made to be so thin so it can allow the airflow and cooling of the mattress but also to enable the more directly contact with the layer of foam. This approach to the cover design is a bit different to the traditional one where the cover would be padded to create softness and pressure relief. Aesthetically, the design is pretty basic. It’s plain white and there are no typical rectangles you can see on the most of the mattresses. This is because Turf & Needle tried to keep everything simple so they can offer a lower price. Talking about the firmness, I would give this mattress 6 out of 10. This is the most common level of firmness you will find in the mattresses you can buy online because the medium-firm mattresses are fitting for the wider range of sleeping positions. When it comes to the support, Turf & Needle always offers mattresses with great support and that is no exception with this one. The sinkage level is more noted, but not too much. It’s just as it is supposed to be. 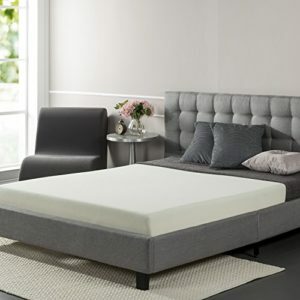 Overall, using a gel memory foam or latex might be a better option than polyfoam, but for this price, you will not find the better option than this. This particular model is a product of 20 years of expertise in the industry and it might be the best mattress for kids ever. This mattress features a 3-layer construction. The top layer is made of 2 inches of Talalay latex. Any latex foam can offer you good comfort, great bounce, and excellent cooling. The thing with the Talalay latex is that it’s more consistent with the production. This is the reason why it’s chosen for the top layer. The middle layer is a 2-inch layer of Dunlap latex. Just like the Talalay latex, the Dunlap also gives a great support, cooling, and comfort, but this one is a bit more durable. It’s a bit firmer than the top layer making it great for deep compression support. The bottom layer is a bit thicker than the top two. It’s 6-inch layer of polyfoam. This layer gives the foundation, shape, and support to the mattress while still remaining breathable enough. The cover on this mattress is very soft and feels great. It’s made of cotton and polyester blend and it’s ¾ of the inch thick so it feels very soft. The cotton in the blend allows the airflow and ensures the great breathability. Aesthetically, it looks great. The top cover is all white with the gray panels on the sides. There is also a strip running along the sides with the logo on it, giving it really cool modern look. This mattress comes in three different levels of firmness so you can order according to your preferred sleep position and preferences. The medium firm level is the most common choice for the most people. So, if you are not sure if you want soft or extra firm mattress, the chances are that you will be satisfied with the medium firm one. The sinkage level is typical for the foam mattress and the edge support is about average. But the motion transfer elimination is incredible. The latex is doing a great job here and the minimization of the movement is almost as good as in the pocket spring mattresses. Nest Bedding is the company that aims not only to make comfortable mattresses but also to make their products all natural, organic and non-toxic while keeping affordable prices. The Love Bed by Nest Bedding is a mattress consisted of four layers of different foams. The top layer is made of 2-inch quilted foam for padding and comfort. This layer is part of the cover giving it extra softness and more traditional look. The 2nd layer that provides support and comfort is made of Energex foam and it’s also 2’’ thick. Energex foam is very similar to latex and provides excellent cooling, comfort, and bounce. The 3rd layer is a bit thinner, it’s 1 inch thick. This layer is made of transitional foam and it’s placed in between the base layer and comfort layer to evenly manage the support transition. This is especially important for the heavier persons as they require better deep compression support. The bottom layer is, of course, a foundation layer that gives foundational support and the shape to the mattress. It’s 6 inches thick and it’s made of high-density foam. The quilted cover is made of polyester combined with bamboo fibers. This kind of material blend dissipates the moisture from the body and sleeping surface and therefore improves the cooling. The cover is not very thick but it is also not too thin. It feels very soft. Because it’s quilted with the top layer of foam the cover feels like a pillow top. The mattress comes in two firmness levels, medium and firm. In both cases, the mattress has a great bounce and response. Most of the foam mattresses need some time to change the shape once they are contoured to your body. In this case, the Energex foam changes as you move. When it comes to motion transfer, this mattress acts great. Not as good as the innerspring mattresses but better than the most of the foam mattresses. The combination of the bounce, response foam, comfort, cooling, and support, as well as the response this mattress has to offer will most definitely provide you with an extraordinary sleeping experience. 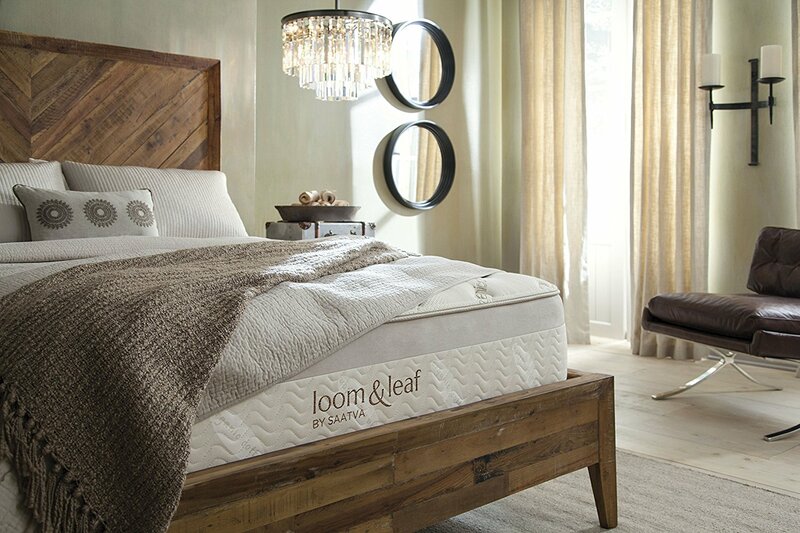 Loom & Leaf is the youngest company that joined the mattress industry and this luxurious mattress that they have to offer uses only high-quality materials and has the most amazing cooling properties. 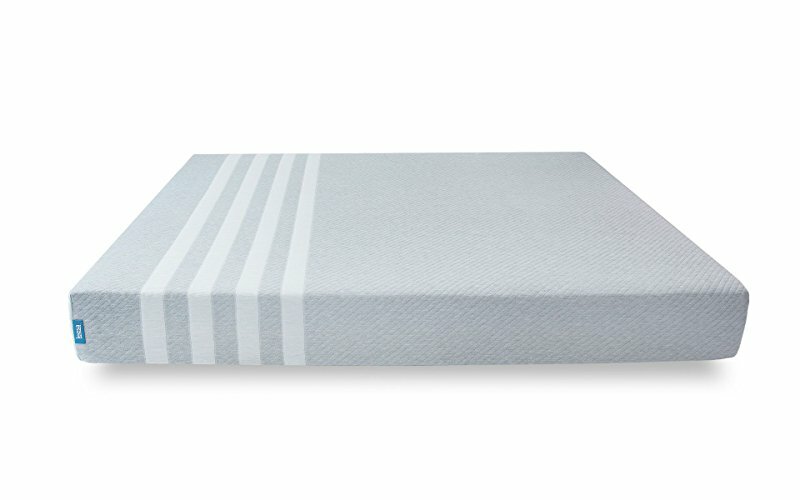 This one feels excellent for most sleepers and one can definitely opt this mattress for kids. This 12’’ mattress is a bit thicker than the standard ones and it’s made of four layers of foams. The top 2-inch layer is made of high-quality gel-infused foam. It’s basically the memory foam infused with the cooling gel dispersed evenly in the entire thickness of the layer for ultimate cooling performance. The second layer 2.5 inches thick Visco-elastic foam. This layer is the core of this mattress and it gives you deep compression and excellent body contouring. The 3rd layer is a 2-inch transition loft pad that helps bottom and top layers work together and improves the support. 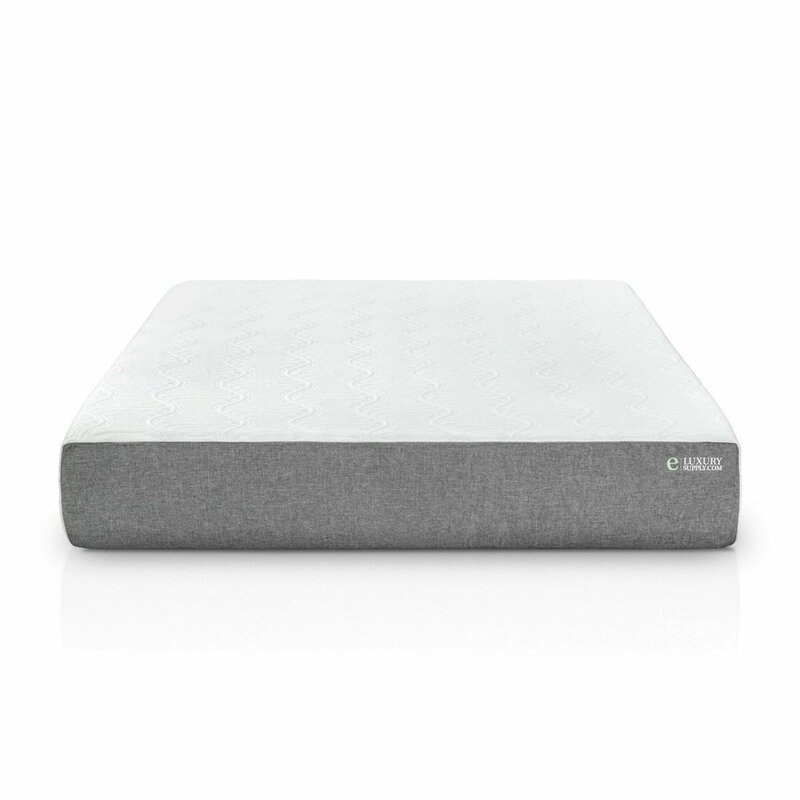 The support base layer is 5.5 inches thick and it’s made of high-density foam giving the shape and strong base to the mattress. The cover is made of organic cotton making it very soft and breathable. It feels amazing. For additional softness, the cover is quilted with a mini foam layer. The mattress looks very nice and it has that classy luxurious look. The gold trim on the edges just adds to that luxurious look. The handles on the side are also a nice touch making the mattress easier to move around. You can order this mattress in two different levels of firmness, medium and firm. When it comes to comfort, this mattress is just perfect. Everything about it is just right. This one is another product by Brooklyn Bedding, and this one is made with a tighter budget in mind. It’s a 10-inch mattress constructed from 3 layers. The top layer, made for padding and comfort is 0.75 inches thick and it’s made of super-soft foam. This layer provides the pressure relief and initial softness when you lie on it. The middle layer is for comfort and support. It’s a 3-inch layer of Energex gel foam. It provides excellent support, good comfort, and great bounce and cooling. Almost as good as latex foam. Foundation layer is there to provide the support for the top two layers and the base and shape for the entire mattress. It’s 6.25 inches thick and it also gives an excellent deep compression support for the heavier persons. The cover of this mattress is made of cotton and a 4-way stretch fabric, making it breathable, soft and stretchy. The cover is quilted with a thin layer of super-soft foam for additional softness. The design is fairly basic. It’s all white with a blue trim on the edges. It is a very simple cover but it is very well made. The mattress is medium when it comes to firmness. It’s a bit softer than the most of the mattresses we reviewed so it would be 5 on the scale from one to ten. Although it’s a bit softer it still gives you proper support and if you are not a heavier person, a right amount of sinkage. All in all, this is one excellent mattress for the price. If you don’t want to spend a lot of money but you want a good kids mattress, this is the right choice. The Signature Sleep Contour has been built with some great emphasis to detail, and it pays off pretty well in terms of customer satisfaction. 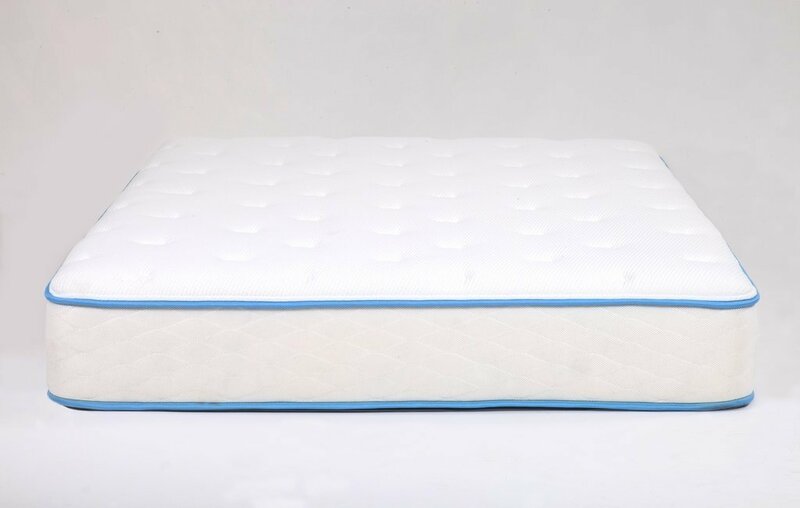 The mattress is made of a 1.6 inch high density foam placed over a coil mattress that works well to give a proper support. To help in the contour arrangement and accommodation, the mattress has 7 inch coils, 15 gauge each, all encased independent of each other to arrange as essential to your comfort and spinal support. The shipment is provided in a pretty neat manner, with the mattress rolled and vacuumed to make it easier to carry, devoid of the inessential air weight. Simply unpack it and leave it to breathe, and you can sleep on it in a matter of hours! 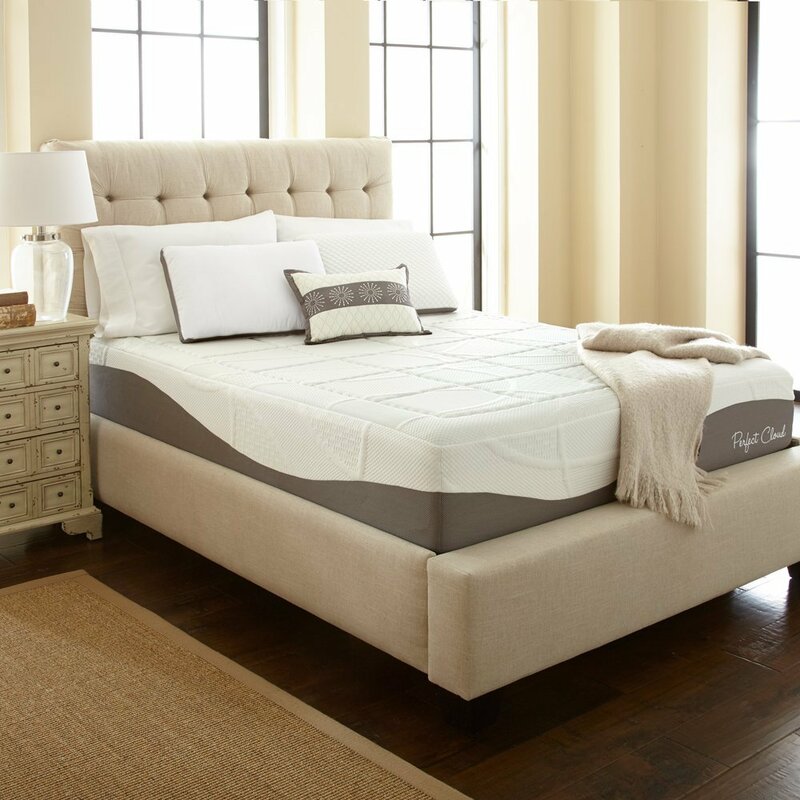 The Signature Sleep Contour 8” mattress also comes in a 10” variant, and in sizes right from Twin to King! Regarding health, the mattress is made on low VOC CertiPUR - US certified foam. It is free from Ozone depleters, formaldehyde, Tris flame retardants, PBDEs, heavy metals and more problematic substances. This mattress is built for the choosy customer, replete with features but carries no frill. 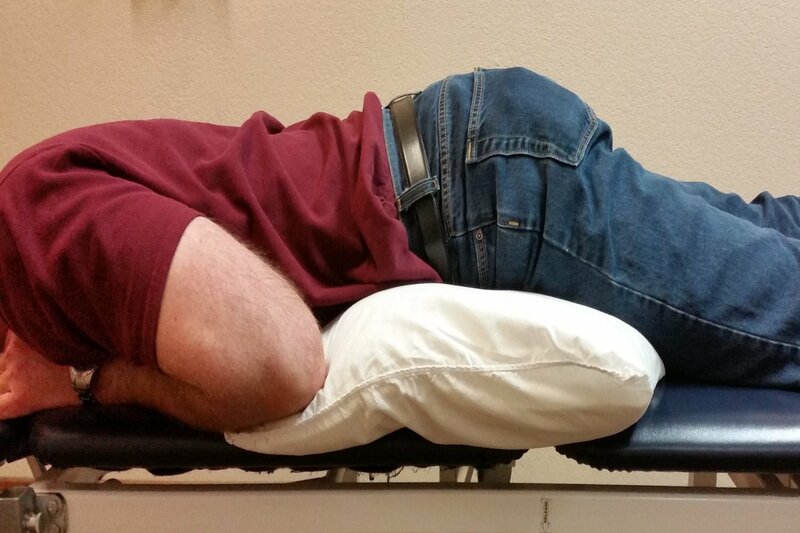 The contour arrangement may help people with chronic backache since it keeps your sleeping posture comfortable. Free from harmful chemicals, which helps you sleep better along with your kids. Can be a bit difficult to move around once unpacked, since it inflates to its proper size rapidly. Pocket Spring mattresses are prefered by many for their localised denting which helps people sleep when their co-sleeper thrashes about in bed. You can find these mattresses maintaining a near flat surface next to heavy weights! 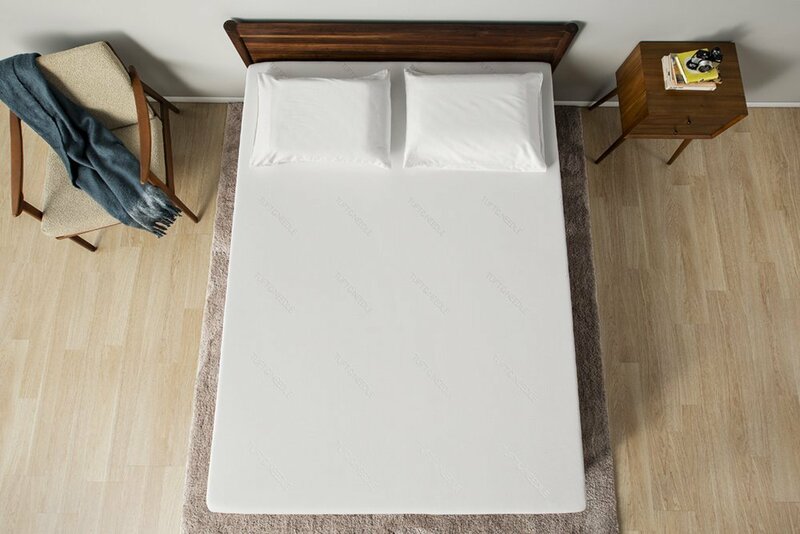 The Home Life Harmony Sleep 8” Pocket Spring Mattress has amazing 15-gauge pocket coils under the primary layer of high quality foam and Polyester. 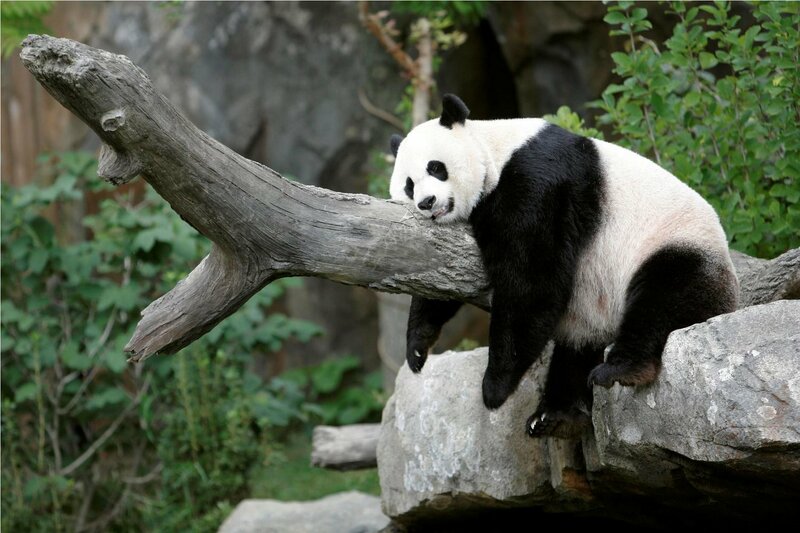 The mattress is supremely comfortable and feels fluffy to the touch. The coils are made of tempered steel, known for their elasticity. For people with back issues, the mattress provides a firm surface to support the spine, despite the soft texture. Paired with your preferred topper based on your needs, this mattress makes the best surface to sleep on. Home Life Harmony Sleep 8” mattress can sometimes feel a bit weak of the edge when it comes to sitting or perching halfway, but it’s not significantly worse than many other popular pocket coil mattresses. It’s the choice to make to get value for your money. Pocket coils feel much better and have a better feel. Doesn’t have the best edge support, so make sure you put your kids’ mattress in such a way that they don’t topple over. The name encapsulates this mattress perfectly. The design is most elegant, and the removable cover especially makes it look most luxurious and inviting. Infused with gel to help in the cooling properties, this 12 inch mattress is a star which makes it the best mattress for toddlers. The 7.5 Inch high density foam forms a great base and provides a major part of the support as well as cushioning. There is a 2” high quality gel-infused memory foam on top of it, which contributes to the comfort by hastening the cooling. Atop this are two layers of Airy memory foam of 1.5 inch followed by a high density memory foam to add spinal support. The mattress comes with a whopping 25 year guarantee, and a 30 day trial. If that isn’t enough, the mattress cover is removable, and is made in such a way as to allow air passage between your body and the bed, making it comfortable to lie down on during the hot months. The Perfect Cloud Elegance Gel Pro Mattress makes you feel weightless like lying on a literal cloud. The mattress is available for purchase through Amazon only and comes with a 30 day trial period. Great for cooling, looks luxurious by itself. The mattress can impress both kids and teens. Can take about a day to break into. Buyer's Guide - How to Choose a Mattress for a Child? As the years pass the children’s bodies will grow. This doesn’t mean that you should buy a new mattress every year or two if they outgrow the old one. So, the size of the mattress is one of the most important things to consider when purchasing the kids’ mattress. The best mattress for kids would be Twin or Twin XL size mattress which is more affordable or the Full-size mattress if you are willing to spend a little bit more money. Although it is a bit more expensive, the full-size mattress is an excellent choice because it will allow you to use the same mattress until your kids are all grown up. Additionally, it will feel much more comfortable for you to lie down with your kids if they are having a nightmare. A good child mattress will last for about 8 to 12 years. It might cost a bit too much initially, but you can’t really put the price on your child’s long-term health and comfortable sleep. The poor quality mattress that doesn’t provide good support and comfort can directly cause morning soreness and many other issues related to uncomfortable sleep. Yes, the better mattresses can be a bit expensive, but it’s worth the money in the long run. If you let your youngsters sleep on an uncomfortable mattress, they might develop poor sleeping habits at very young age. The high-quality mattress will make a significant difference and provide your kids with a good night’s sleep. Good quality sleep is extremely important for your child’s health and development. It affects their school performance, mood, and many other things. Good sleep means good kids. People often think that the support and comfort are the same thing, but these two are completely different. A mattress that provides a good support will keep the spine aligned during the night, while the comfort is more about the firmness and feel of the mattress. If the mattress doesn’t provide a good support it can affect the normal growth and have numerous negative effects on child’s health. It is extremely important that the mattress supports the growth of your child. It is also recommendable that you engage your kid into the buying process when they grow up a bit. At a certain age, they can describe their sleeping patterns and positions which can be very helpful when choosing the mattress. For example, if your kid is a side sleeper, a very firm mattress can create pressure points and bad support, and if he or she prefers to sleep on the stomach than the very soft mattress will not do the trick. As the kid gets older and begins to develop more consistent sleeping style it will become easier to choose the right mattress for kids. We hope that our reviews were helpful and that we made it easier for you to decide an appropriate mattress for kids. Remember, you can’t put the price on your child’s health and healthy growth. We have picked some best kids mattresses available in the market and tested them on a number of parameters, including mattress’ material, response foam, moisture levels, allergen-free and more, while keeping a single eye focus on a principal factor – bedding comfort. We all know how stiff and achy you can be in the morning after only one night on the uncomfortable mattress and if we want our children to develop properly, we can’t allow this to happen to them during the development. Regarding health, the mattress is made on low VOC CertiPUR – US certified foam. It is free from Ozone depleters, formaldehyde, Tris flame retardants, PBDEs, heavy metals and more problematic substances. Buyer’s Guide – How to Choose a Mattress for a Child?